The Norcold NR740 is a silent refrigerator that will keep you provisions fresh, tasty, and reliably cool whatever the outside temperature. They are great for marine application and work on both DC and AC. 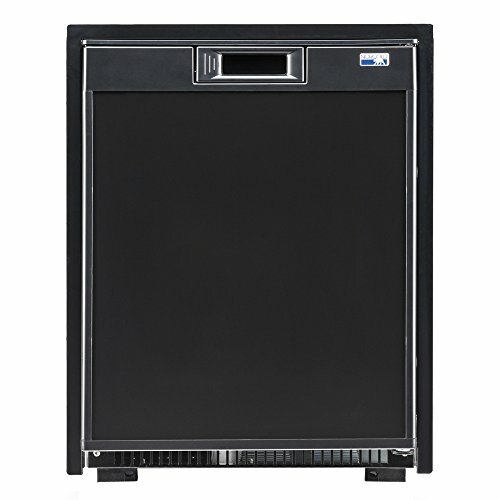 This model offers 1.7 cubic feet of storage, and LED interior light, a 'hidden' ventilation grill, and a freezer door. It can be flush or proud mounted without additional hardware, and it is self-venting. Provides a clean, modern finish along with durable, easy to clean white powder coated shelves. Offers dimensions of 20.5" x 15.25" x 17.75". If you have any questions about this product by NORCOLD INC, contact us by completing and submitting the form below. If you are looking for a specif part number, please include it with your message.